The vineyard Bagolari is located in the town of Mezzocorona, in the area of Camorzi. This is probably the best land owned by us, very light, excellent organic percentage and good mineral content. The ground water is 8 metres deep. Here we grow the Teroldego using a pergola cultivation system, in various clonal selections on Teleki 5C rootstocks. Vineyard located in the southern part of the area of Mezzocorona. The overlying silty hamlet is not particularly thick, and the ground water low, 6 metres deep. These are excellent conditions for grapes, in order to produce quality wine grapes. 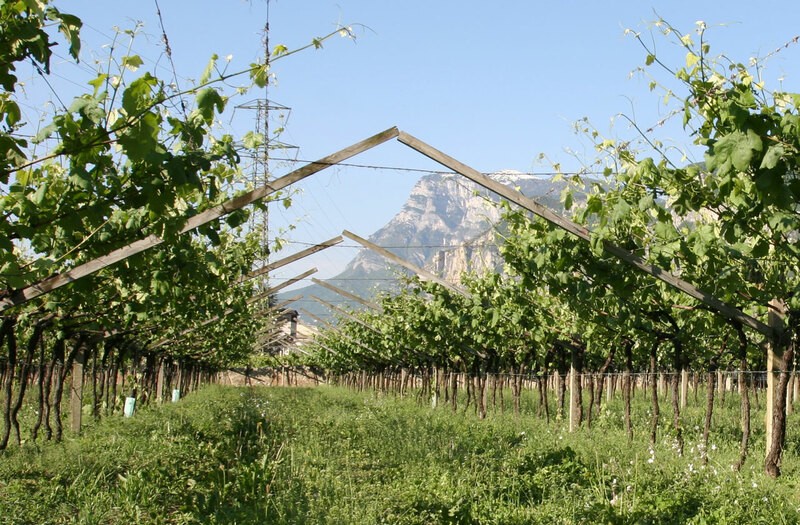 Here the Teroldego is also grown using a pergola cultivation system, with massal selection. Vineyard located in the central part of the area of Mezzocorona. Here as in the Bagolari vineyard the ground water is about 8 metres deep. Here we have chosen to use a weaker rootstock, in order to better the qualitative characteristics of the wine grapes: the 3309. In this vineyard the Teroldego is cultivated: various clones have been used in order to increase the genetic variability and the complexity of the final product. The pergola cultivation system is used. This vineyard located in the most northern part of Piana Rotaliana, on the slopes of Monte di Mezzocorona, has hill characteristics which benefits not only from the slight height difference, but also the higher fluctuation in temperature due to the presence of cold currents coming from the adjacent Valle di Non. The land is in part alluvial, with a layer of very reduced lime, and in part composed of of Dolomite rock debris. 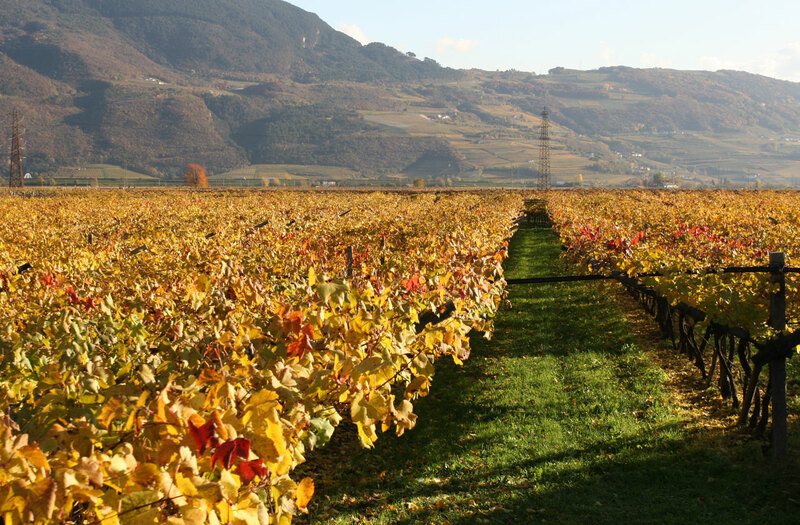 This vineyard while being located in the area of Doc Teroldego Rotaliano, and considering its peculiarities, Chardonnay grapewines have been planted on the upper side and Rebo ones on the lower part. The Rebo vineyard was renewed in 2011 with the use of 3 new clonal selections of this variety. 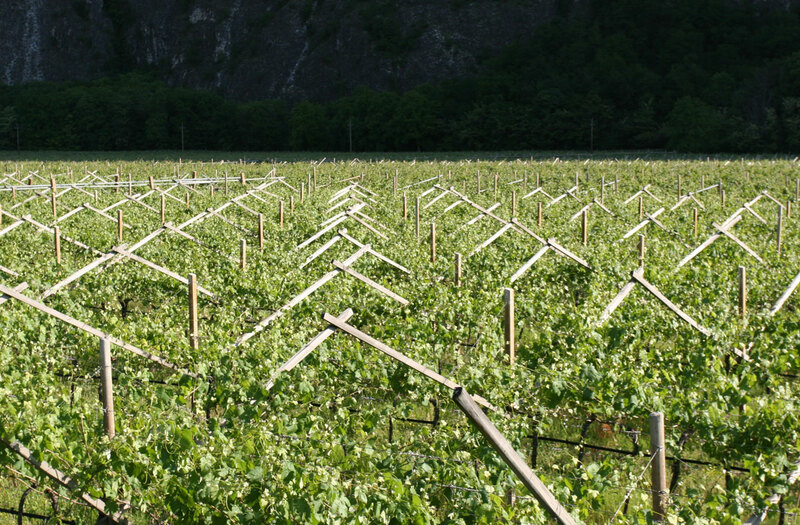 We have also adopted the pergola cultivation system in this vineyard. The area of Casetta is located in the municipality of Mezzocorona, but well outside the Doc area of the Teroldego Rotaliano. 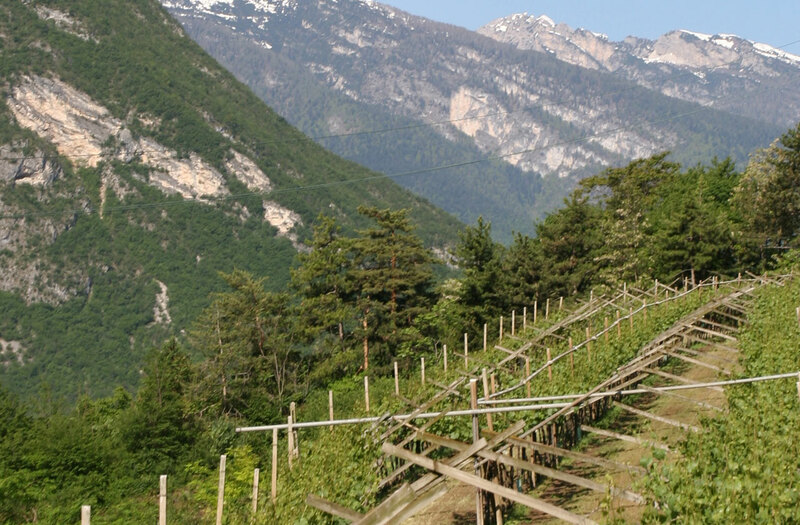 The vineyard is located very close to the area of Roverè della Luna (Heichholz) adjacent to the rocky wall of the Mezzocorona mountain. This particular position creates a microclimate that is very favourable to the growing of wine grapes. Though the rocky wall limits sun hours, it also creates a release of heat during night time hours that mitigates the cold winds coming from north. The poor and very pebbly land favours a very balanced production with low yields. Here we have planted Cabernet Sauvignon and Lagrein grapevines. Part of of our grapes has always been given by a number of small producers of Mezzocorona according to an "honourary" type agreement. This allows us to obtain high-quality grapes with characteristics different from ours since they are grown in the areas of Zablani, Pezgremi, Fratte, Vizinia and Sottomonti of the municipality of Mezzocorona.